It was the summer of 2009, a week in August, and I was headed for Napa and Wine Train adventures. I was staying in a lovely little cottage and enjoying all that Napa Wine Country had to offer. 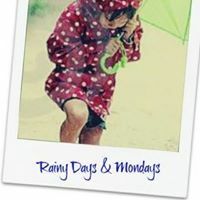 And I was very excited about the new blog I had just created: Rainy Days and Mondays. Post-retirement, I loved the idea that I could enjoy my Mondays. Those of you still working that life know what I’m talking about. No matter how much you enjoy your work, Mondays are like a damper on your joy. Usually there is a lot of craziness after a weekend. I remember it well! I originally created this blog on Blogger, on 8/16/09, and its purpose was to celebrate books, and specifically, to remind readers that books can chase away the blues! On this date, 12/3/14, I have moved the site here to Word Press…and hope to enjoy many more bookish celebrations. Thanks, Elianasin…but my blogs are award-free. I appreciate the thought, however. I am really sorry! I didn’t see this before I nominated you for an award. Please just ignore it. 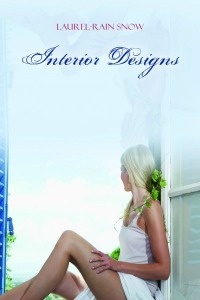 I really love the look of your blog, and so far, from what I have seen, it is really awesome! Keep up the good work! No worries, Aubrey….I do appreciate the thoughts of those who nominate others for awards…I just don’t have time for it. Thanks for the thought and the comment. I just had a lot of fun finding other blogs with this one. I understand the “not having time part”… it took me about 3 months to actually complete this one. I love finding other blogs, too…it is amazing to me how many are out there!